It was the summer of 2007 and an impulsive decision to explore Kanha found us on the road sooner than we expected, never realising that this was going to be the beginning of an ineffable journey. We soon found ourselves on a safari in Mukki zone braving 45 degrees with a jovial driver. A casual enquiry with our driver for land to build a lodge swiftly led from one thing to another, giving us the feeling as if they had all been waiting for us. As they say, God has a plan for everyone and everything, I now believe this is true. A few hours later, Karan and I were precariously dangling on an old bike with our land suitor in the driving seat. After what seemed like an endless ride through quaint tribal villages and towering Sal forests our ride came to a screeching halt. We found ourselves standing at the edge of Kanha Tiger Reserve in an open area where Kanha Earth Lodge stands today. The innumerable Mahua trees stood stark green with fresh leaves which completely enveloped the atmosphere. The barren land appeared as if someone had shaved it till the edge of the park, made the Mahua stand more prominently, rather ominously, spared partially due to religious but more so due to its perpetual economical benefits to the Gonds living here. We didn’t know what exactly we were looking for but we were clear on what we didn’t want – highways, hotels, neighbours and noise. May be we desired our own little jungle paradise. We steered away from our talkative suitor and almost like an enacted scene we found ourselves staring at a lone fox standing under a Kusum tree, just a few yards away from us. Disappointed that his summer shade had been exposed, he stared at us for long time, a bit too long and then reluctantly left his favourite shade to find another. Our walk around the property and on the fringes revealed good signs of root stock and many signs of mammal activity including Gaur, Sambhar, Cheetal and Leopard. Karan and I both were smiling in our hearts as we certainly had found the mini paradise that we were searching for and we knew that this land had all the potential to be transformed into a fine eco system. This was May 2007 and by the end of monsoon, we had fenced and started nurturing the root stock supplemented with a few indigenous species. Kanha Earth Lodge was opened in 2010 and today the forest patch is as pristine as it can be. With over a few hundred giant and small trees, innumerable plant and grass species, about 70 birds, 50 butterflies and 12 mammals have been recorded within the campus. Last winter, after a late evening of great camaraderie with the naturalists I stepped outside the lounge to head towards my cottage. It was dark, dense and misty and I felt a chill go down my spine as soon as the thought crossed my mind that there could be just about anything lurking at any bend. I turned back to get a torch and when the torchlight fell on the beaten mud trails through the jungle, my heart glowed knowing that the jungle and animals were back. 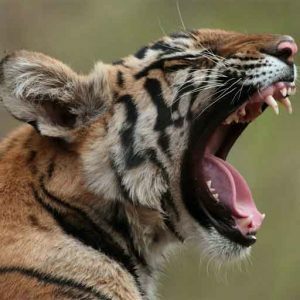 Note: Since its inception Kanha Earth Lodge has been recognized for its conservation efforts, sustainable tourism and for its integrated approach with the locals. 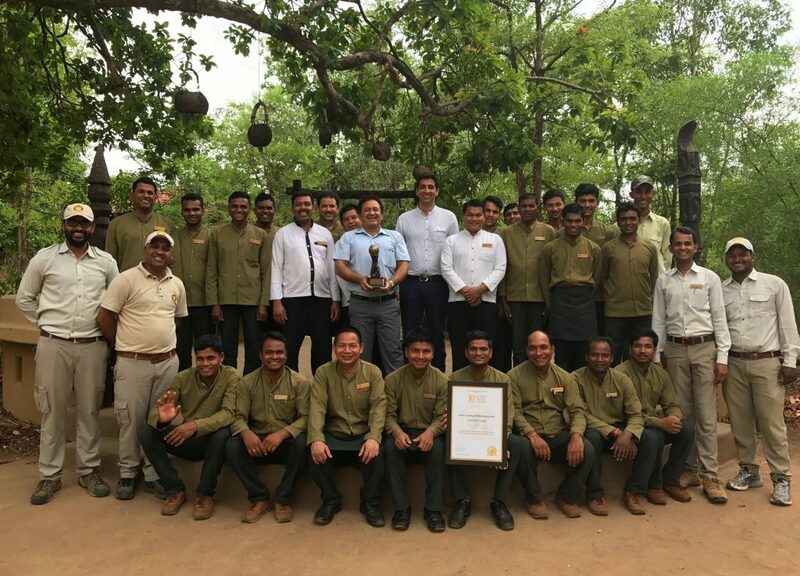 Last week, at World Travel Awards, it was the winner for the 4th time as India’s Leading Wildlife Resort, the 12th prominent recognition in just 5 years since its inception. Stone Architecture Award – 2010-11 for Sensitive Use of Stone. Posted on June 10, 2017 by pugdundee blog. This entry was posted in Our Sustainability Journey and tagged kanha earth lodge, kanha national park, world travel awards. Bookmark the permalink.